StageBuzz.com: Planet Connections Interview - Mark Jason Williams of "Straight Faced Lies"
Planet Connections Interview - Mark Jason Williams of "Straight Faced Lies"
By accident! When I was 18, I knew I wanted to go to school for “writing,” but didn’t exactly know what that meant. I saw that NYU had a “Dramatic Writing” program, and since I lived in Yonkers and the school was close, I applied. I remember that I had sent writing samples, and chose a bunch of poems. I had no idea what the program was about or how hard it was to get into Tisch, I just a kid who wanted to write. Once I got in, and learned that it was a playwriting program (and, equally importantly, that I’d never had to take a math or science class again), I went for it, and was hooked from my first class. It still think it’s pretty cool that I went in having never written a script before, and now…well, it’s all I ever want to do! I’m still very much a fan of Tennessee Williams and Arthur Miller, and will probably be channeling these brilliant writers for the rest of my life. Family and friends also rank highly on the list of people who inspire me. Straight Faced Lies is a comedic drama that takes place on the scariest day of the year—Thanksgiving. It’s about a family, and some unexpected guests, who gather together and face uncovered secrets that might tear them apart. At the heart of the show are six distinct characters: a devoted (but controlling) wife and mother, a son with a secret that’s more obvious than he realizes, an estranged daughter grabbling with an unexpected pregnancy, the married doctor she’s with whom she’s having an affair, an outspoken woman who likes her liquor a little too much, and a guy in love with a man he can’t have. I’ve always wanted to write a show about a family. I think that the most fascinating conversations, and great life moments, happen at the kitchen table or in the living room. I’m working with a great team this year. Melissa Skirboll, an award-winner in last year’s Planet Connections for Outstanding Direction, returns to the festivity this year as the show’s director. 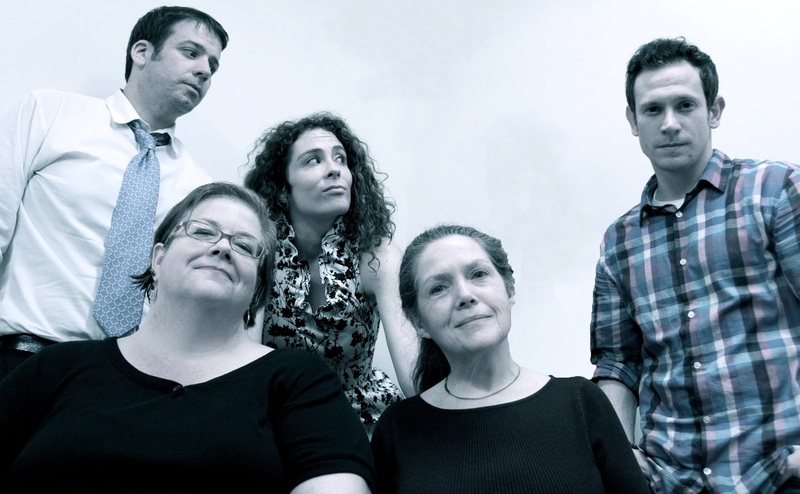 The cast includes: Linda Blackstock, Danny Hilt, Hannah Logan Wolfe, Thom Christensen, Ann Farthing and Josh Krebs. Each actor brilliantly combines comedic snap with human drama to create full-bodied, authentic characters. Planet Connections donates a portion of the box office for each show to a charity. What charity has your production chosen and why? We chose Memorial Sloan-Kettering Cancer Center’s Visible Ink program, which provides one-on-one writing mentorship to current, and former, patients. It’s a cause that is close to my heart because I’m a cancer survivor, and a member of Visible Ink, and I think it’s an absolutely necessary and wonderful program. What's next for you after Planet Connections? My show, Recovery, which premiered at Planet Connections in 2010 heads to the 2013 Capital Fringe Festival in July, while The Other Day, which won the Planet Connections Award for Outstanding Playwriting in 2011, returns to the New York stage as part of the 2013 Fresh Fruit Festival, July 20-21. What was your best “theatre moment” - that one moment, either onstage or off, that was so sublime that it stayed with you? My best theatre moment was in 2010, doing Recovery at Planet Connections at the Gene Frankel. I’d been writing the play for quite some time, and was finally ready to stage a full production, and my Off-Off Broadway debut was met with a sold-out crowd, including my parents and a surprise guest, my childhood hematologist, Dr. Radel. I’ll never forget the look on my parent’s face when they saw Dr. Radel (and vice versa). It was a moment when they realized how powerful theatre can be. And, really, I did, too! "Venice" - Broadway in the cards! Planet Connections Review - "The Procedure"